Sam Harrison explains the fantasy genre! 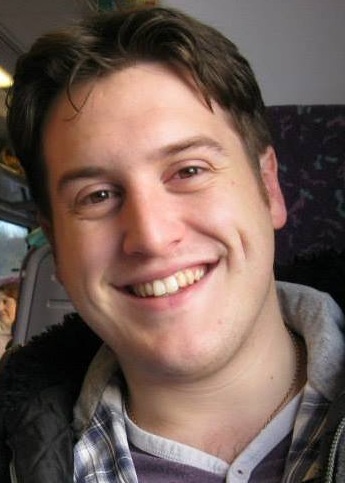 My name is John Samuel Harrison, I am a 26 year old Geology graduate and experienced IT technician from Kingston Upon Hull. I have a varied interest in art, sport and science. I have read throughout both my childhood and adult life from the tentative age of around 5 or 6 years old. This I believe has helped create what I have been told is quite an active imagination, which I have used to fuel projects of my own from short stories to comic book ideas throughout my life. What kind of literature/books do you read? Why does this genre speak to you and appeal to you more than others? What is it you love about it? Predominantly I would say I read more of the fantasy genre than any other. I would say this is because fantasy isn’t bound by modern convention, social norms or laws of physics. The worlds authors create are often so different to our own that the mere fact that it is a planetoid is the only similarity. The author can be as otherworldly or as familiar as the he/she wants and for the reader, there are a dozen sub-genres to choose from (as well as all the combinations thereof). Overall, it’s the unknown element of fantasy that appeals to me. I like not knowing and discovering new things, I like to feel the thrill of adventure across an uncharted land. I love the hot-headed decisions that are made in dire situations, such as the sudden occurrence of a mythical beast no one has encountered. I love that a well-structured magic system can make or break a story and add depth that isn’t possible within conventional fiction. All of these elements allow me to ingratiate myself in the world as I read and make it my own. I get lost in the story which means more often than not I struggle to put a book down once I have started to get my teeth into it, as it were. If a reader wants to go out on a limb and experience a story that’s wholly new, fantasy is the genre to explore. I have read many different types of fantasy fiction, one example being the Alex Verus series by Benedict Jacka, which is a great introduction for to the world of urban fantasy series. It has a lot of what you’d expect—magical people doing magical things in a modern setting, with enough emphasis on the setting to make the story both original and believable. It also has some original elements that I found particularly intriguing, not least the fact that the protagonist’s main powers are passive and seemingly weak compared to others in the story. Reading this particular book made me reflect on something which I found quite amusing. As a child I would imagine the Harry Potter world to be my ideal fantasy life. A hidden world of magic and mystery where for the most part everyone is kept safe and is moderately unaffected by magic, and when evil rears its ugly head some pure hearted soul quashes them with minimal losses. However, now that I’m a little older and I would hope to think wiser, the Alex Verus universe is what I think a real fantasy world would be like. It wouldn’t just be good people that always win. There would be no pure of heart goody-two-shoes who fixes everything. There would be real people making real, often catastrophic, mistakes. The Alex Verus universe accurately depicts the underlying dark element of our world that would still exist in a fantasy setting. This has made me realise how much I have grown as a person, from a young, naïve dreamer to a man who accepts and understands the real and often harsh world we live in. That’s why having such a vast range of fantasy literature out there, for all ages, is so important. Reading at a young age has helped me develop quite an active imagination. Time travellers love my books. Scott Lynch: This is another man who is a wizard of words and puppetmaster of your emotions. He makes you fall in love with a character and hang on their every word before giving you a metaphorical wink and dropping the character off a cliff, ripping out your heart and stamping on it! I now don’t trust him as several times he has brought me nearly to tears or so angry with the “bad guy” I could have spit blood! In short – yes! The longer answer would be that there is an amazing and incredibly vast fan base and community across the fantasy genre. Fans from every category, from steampunk to entire world-building extravaganzas such as the Discworld series, flock together and create vast amounts of fan-based content. People write fan faction, fan art, develop games, graphic novels, films, all stemming from fantasy fiction. Fan bases are represented at EXPO’s and various other conventions worldwide, where the authors can come and meet their fans and give talks on their thought processes. 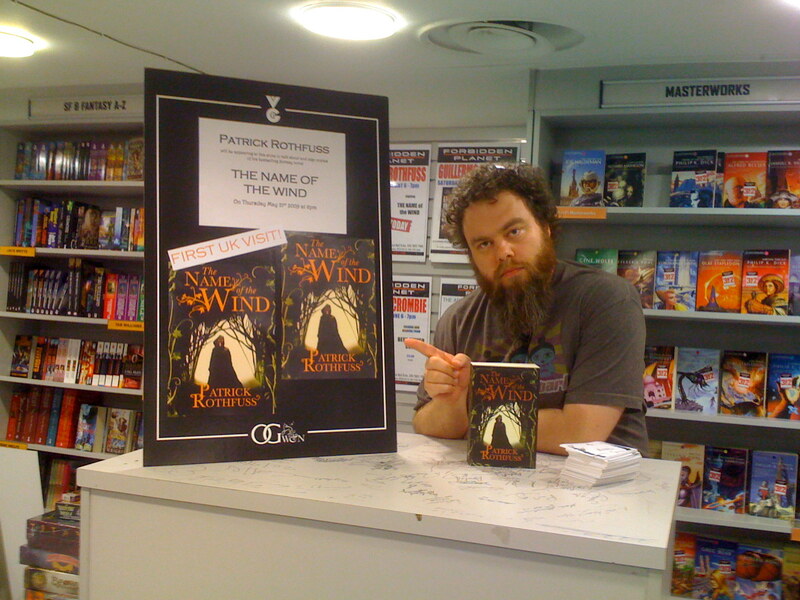 More well-known authors such as Patrick Rothfuss often help out smaller projects and raise vast amounts of money for charity. The fantasy genre is the estranged cousin of sci-fi and “nerd” culture which often overlap in various crossovers. It is a very supportive but often highly critical fan culture where the meek tremble but the brave rise among the masses! The fantasy genre isn’t bound by modern convention, social norms or laws of physics. What makes a novel good? This is certainly one of those questions that can generate a lot of debates and discussion. Most, I believe, would describe a successful fantasy novel as original, interesting, or maybe even breath-taking. None of these things actually define what a fantasy novel is. The bare bones of it is that it needs to be a compelling story. It doesn’t need to be 100% original. What it needs is a spark, and that spark triggers off the reader’s imagination. It creates a bond between the literature and the reader, and if you can do that, you can make the reader relate to the story, no matter how fantastical. Fantasy writers also need to make their characters believable. This is essential if you want to hook and keep readers interested in the story. A great way to achieve this is to apply logic to every character in every fantasy world you create. This means creating a set of rules that apply to the world and the characters. The rules can be based on either real life or they can be simply invented by you. These rules will also have to dictate how your magic systems work in the world and how they affect inhabitants. And most of all – get to know your imaginary world – you need to be able to describe it in detail if you are going to convince your readers that it exists! There is an amazing and incredibly vast fan base and community across the fantasy genre. This depends on my mood, and whether I am planning on any travelling in the imminent future. If I’m planning a nice quite evening at home with my slippers on and rum in my hand, I would go to Waterstones and buy a hardcopy of the book. If I am planning on travelling anywhere I would purchase it from the Amazon Kindle Store and download it to my aptly named “travelling companion” which is of course my Paperwhite Kindle. This allows me to carry multiple books and still travel light. I use Goodreads which is a website that allows the user to log what they’re reading and have read as well as those they wish to read. The website also includes a rate and review function, which allows all members to review the book and rate it. It is usually through these reviews that I pick my next purchase. Alternatively, I’m sometimes approached by my friends with new book suggestions. I have just finished the second instalment of the Kingkiller Chronicle by Patrick Rothfuss (recommended by a friend through word-of-mouth.) I am going to start reading Rogues which is a thrilling collection of twenty-one original stories by an all-star list of contributors including a new Game of Thrones story by George R. R. Martin.